Dimensions: Ø: 11.3", H: 9.5"
Poul Henningsen designed the three-shade system during 1925/1926. The first lights using the system were designed for an exhibition in Paris. 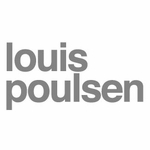 His work with Louis Poulsen continued until his death in 1967. 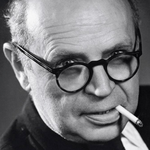 Throughout his life, PH sought to create glare-free lighting; aiming to direct light where it was most needed, and creating soft shadows while using incandescent bulbs as a light source. 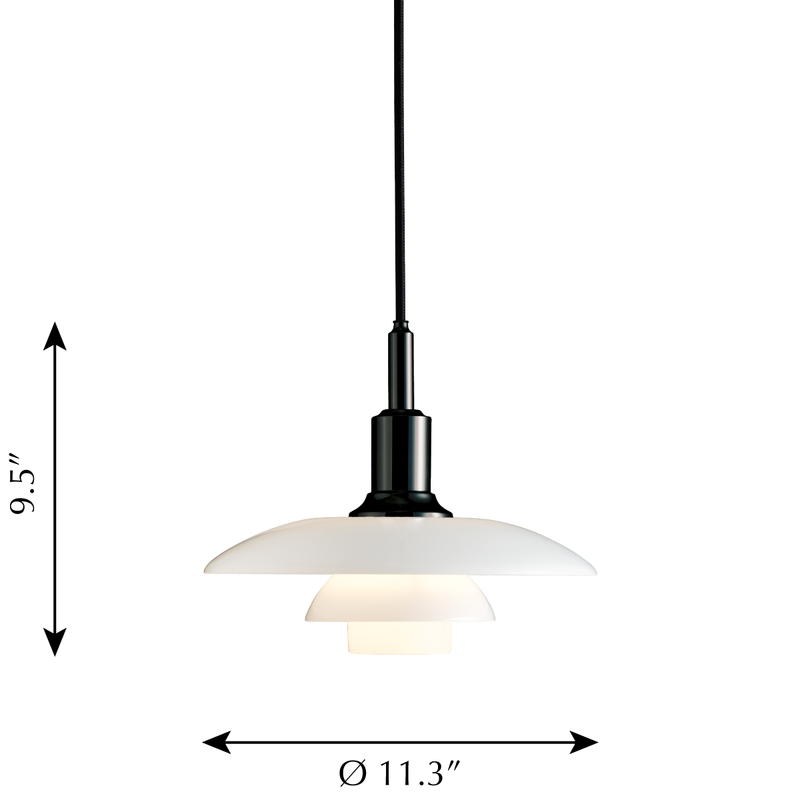 The PH 3/2 Pendant is a member of the three-shade family and is one of 19 versions available today. Approximately one thousand models have been produced over the years and consisted of table, floor and wall lamps, as well as a number of chandeliers, which were popular in the 30s for lighting private homes with high ceilings. There were countless combination options. The lights were available in different colors, as well as a range of sizes. The first shades were made of metal with a painted underside, such as white, gold or silver depending on whether diffuse, warm or cold light was desired. Glass was later introduced to the three-shade system. 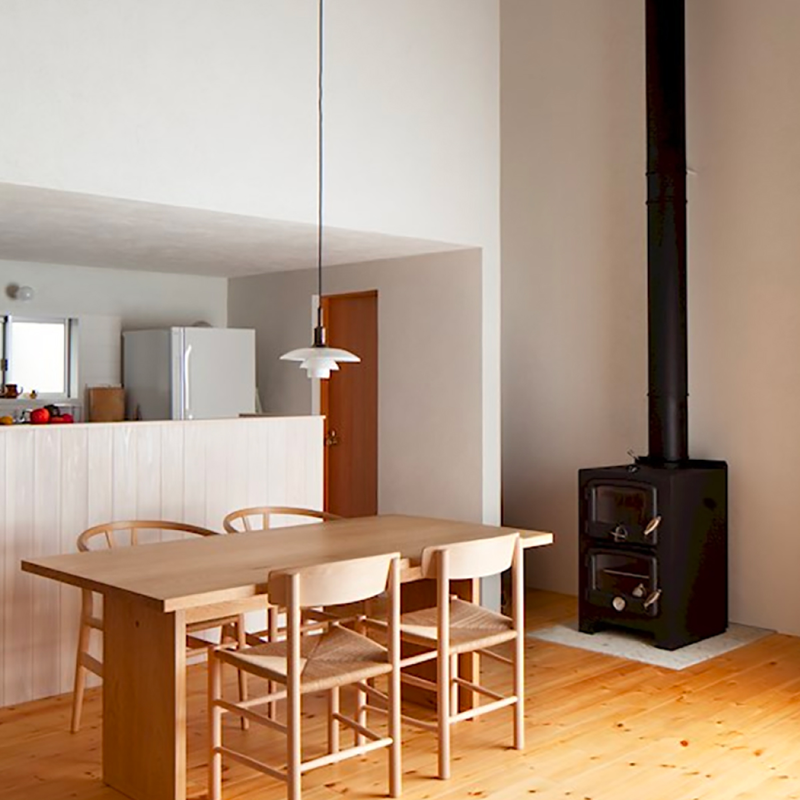 In addition to the downward-directed light, glass lamps illuminated the room. 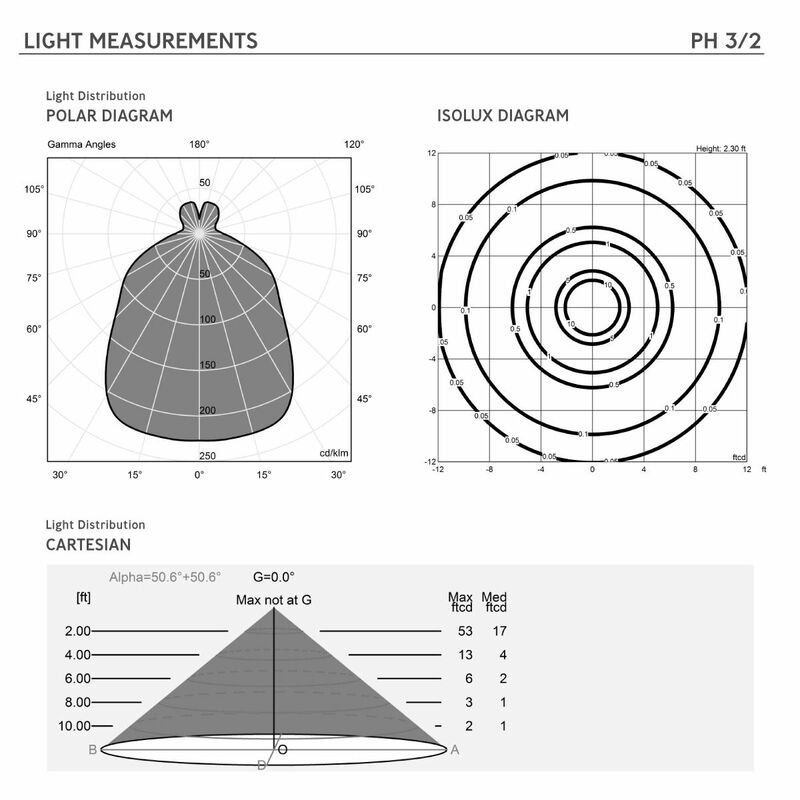 PH was the first person to pursue a scientific approach to light and use the logarithmic spiral as a basis. By using a design based on the logarithmic spiral, he achieved even distribution of light over the entire curve of the shade. This even light distribution, together with the diffuse reflection through the glass, made it possible to control glare and shadow. Each shade reduces the amount of light equally due to their distance from the light source. The PH light model numbers refer to the shade size. Each top shade had a corresponding set of middle and lower shades. In the pure models, such as the 2/2, the top shade has a size of about 20 cm, with corresponding lower shades. 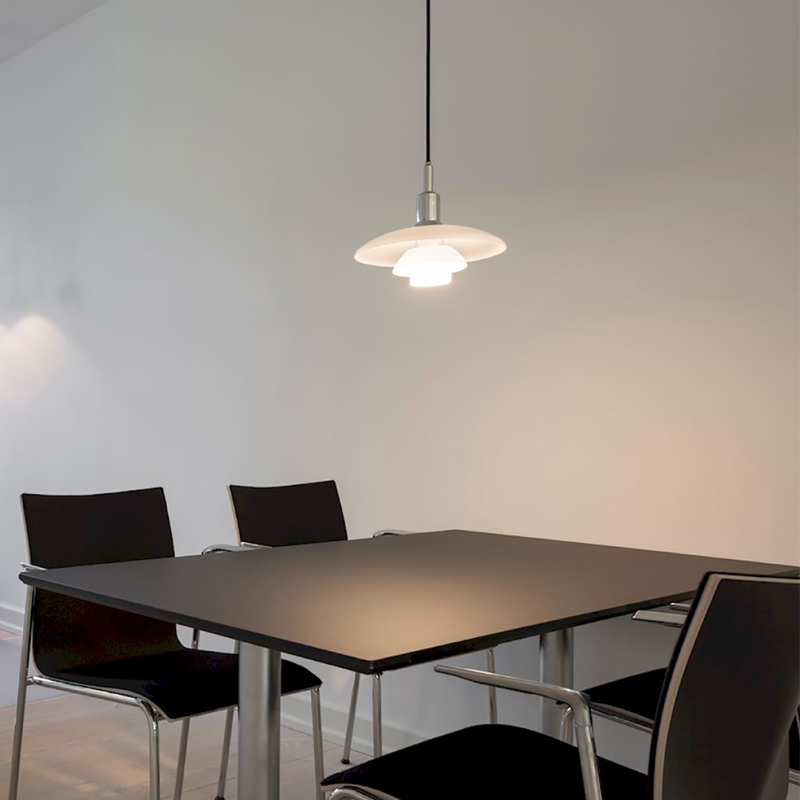 The PH 3/2 Pendant consists of an approximately 30 cm top shade, but uses lower shades from the 2/2 model. 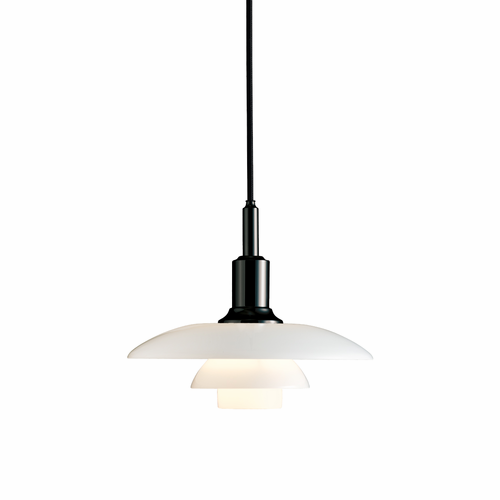 These hybrid models were introduced due to the desire to hang the pendants at lower heights.